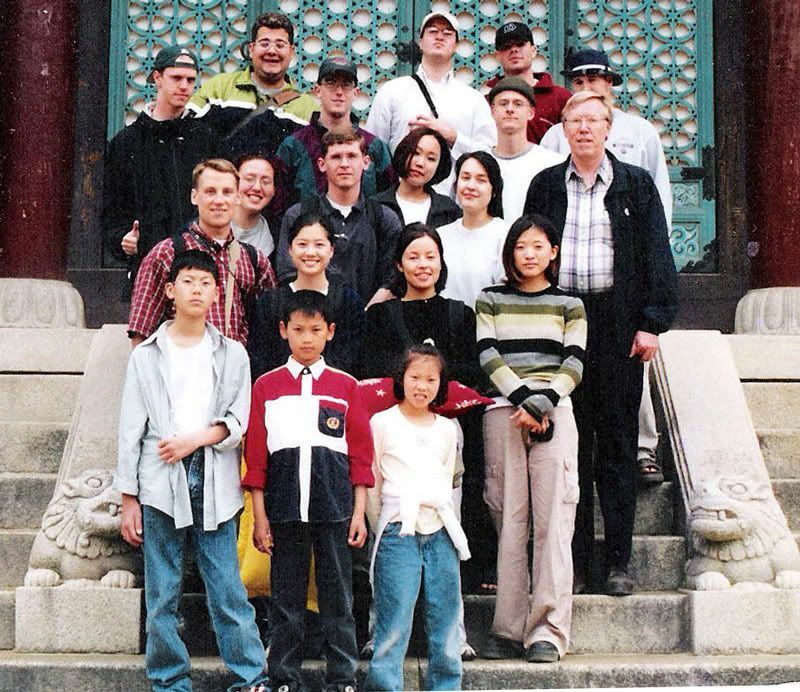 N. found this photo from the study abroad trip to Korea we went on back in the summer of 1999. It cracks me up: I like the sassy thumbs-up N’s flashing but I’m not sure why I’m making that weird smirk. It’s funny; it wasn’t until the last night of the trip that we even really talked to each other. We had even been in the same Korean classes the year before the trip but we still barely knew each other. For most of the trip I was pining after one guy and spending all of my free time hanging out with another, neither of whom was N. (Yeah, I was just a touch boy-crazy at the time.) N seemed cool but was kind of intimidating at the time. Details of how we got together will have to wait for another time; today I don’t really feel like typing a long post. For right now let’s just say that things managed to work out in the end.